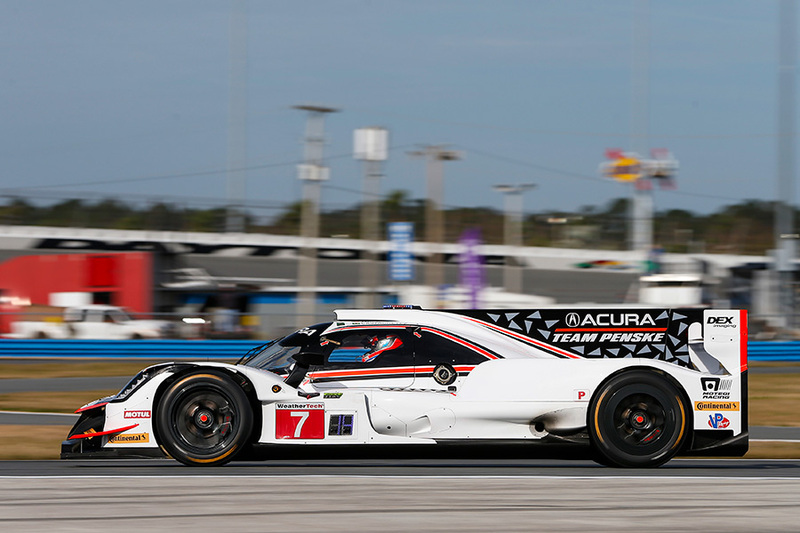 Jan 25, 2018 – DAYTONA BEACH, Fla.
A thrilling qualifying for Saturday’s Rolex 24 at Daytona International Speedway saw Helio Castroneves securing a front-row start in the first race for the Acura ARX-05 prototype, while Alvaro Parente produced a seventh-place run in the ultra-competitive GTD class in his Acura NSX GT3. After producing a best-of-the-weekend lap of 1:36.090 with less than five minutes remaining in qualifying, Castroneves appeared headed to an inaugural pole for Acura Team Penske. But his time was eclipsed by the narrowest of margins — seven thousandths of a second — in the closing seconds of the 15-minute session by Renger Van Der Zande. The trio of Castroneves, Ricky Taylor and Graham Rahal will line up on the outside of the front row, second, for Saturday’s 2:40 p.m. green flag. 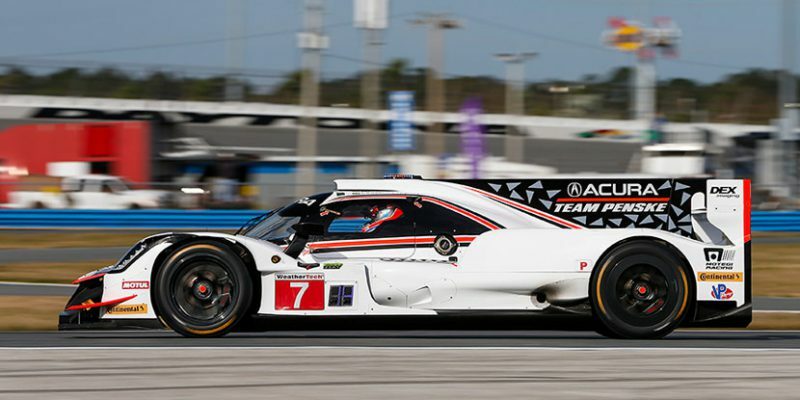 Dane Cameron took the second Acura Team Penske ARX-05 to 10th on the grid, and will share the driving duties with Juan Pablo Montoya and Simon Pagenaud in the 24-hour endurance contest. After leading the GTD field in the final practice session prior to qualifying, Parente took his Michael Shank Racing to sixth in the category in the Acura NSX GT3 he will share with Katherine Legge, Trent Hindman and A.J. Allmendinger. Driving for the Honda of America Racing Team, Ryan Eversley will line up 14th in GTD as the team, made up primarily of American Honda associates, moves up to IMSA WeatherTech SportsCar Championship for 2018. 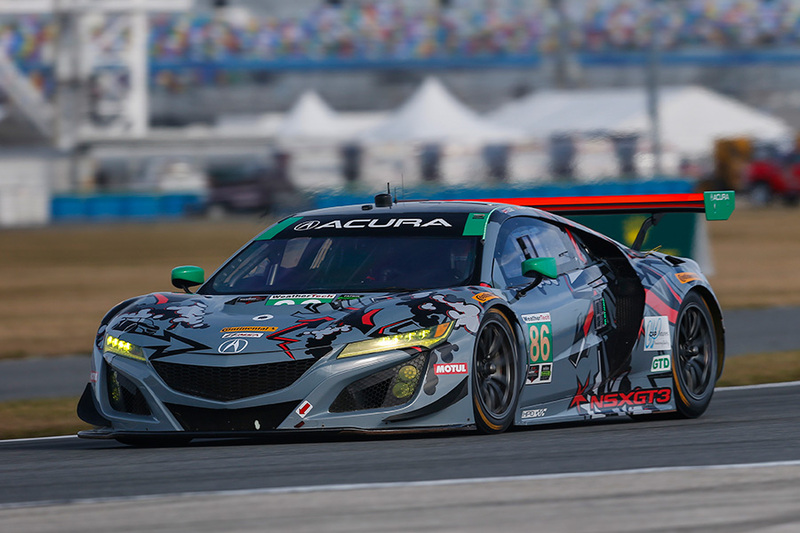 Chad Gilsinger, Sean Rayhall and John Falb complete the driver lineup for the HART NSX GT3. Driving the second Michael Shank racing Acura, Come Ledogar had his qualifying effort blunted when front end damage resulted in the hood coming off his car early in the session. Ledogar qualified 16th as a result, and will share his NSX GT3 with co-drivers Lawson Aschenbach, Justin Marks and Mario Farnbacher. Television coverage of the Rolex 24 begins at 2 p.m. EST Saturday on the Fox Network, shifting over to FS2 from 5-10 p.m. Nighttime coverage will be found on FS1 from 11 p.m. to 1 a.m. Sunday morning. Live television coverage resumes on FS2 from 8-10:30 a.m, then moves to FS1 for the final four hours.